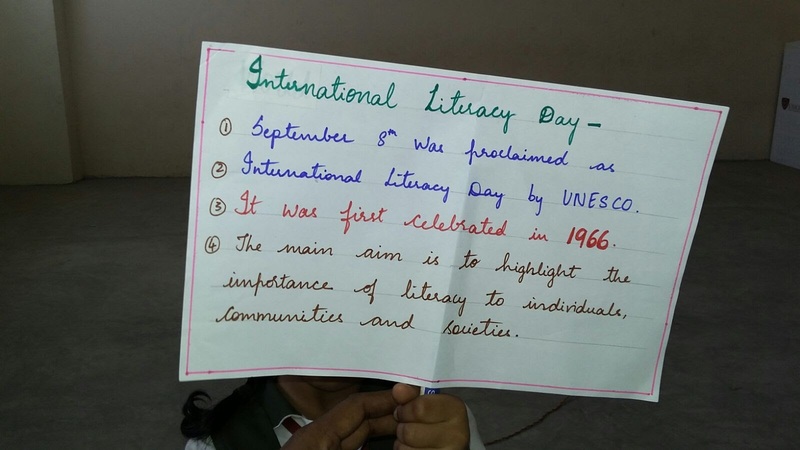 International Literacy Day being celebrated by classes 1st to 5th on 8th of September 2015. A special Assembly was conducted on World Literacy Day i,e on 8/9/15. The assembly was started with a word of thought and a skit was performed by Grade V & VII. Children explained how education is very important in our life. Statistics of literacy rate in India was given by our co-ordinator.